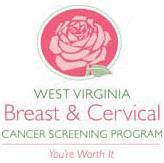 Education on risk factors of breast and cervical cancer and how to perform a self-breast exam at home. Referrals will be provided for further diagnosis on all abnormal clinical breast exams for anyone between the ages of 25 - 49. To schedule an appointment you may call our office (304)372-2634 or email us.